The once-heralded Los Angeles Lakers have suffered in the past few years, missing the playoffs by quite a distance, including stumbling to a franchise-worst 17-65 season in 2015-16. This fall from grace comes three years after Hall of Fame owner Dr. Jerry Buss died, handing control of basketball operations over to his son Jim. Unfortunately, it's becoming more and more obvious to fans and experts alike that the team's struggles and the passing of the torch are not mutually exclusive. According to Bleacher Report's Kevin Ding, the relationship between members of the Lakers' hierarchy has become increasingly contentious, painting a sad picture for a franchise that's enjoyed consistent success. "According to team and league sources, despite how the torch-passing was presented to media and fans, Jerry did not have deep confidence in Jim as a basketball visionary or even someone with the grit to stay in charge of Lakers personnel for the long haul." Jerry's oddly placed trust in Jim has reportedly created a rift amongst the Buss family. According to Ding, Jim may be running out of rope, too. During a contentious family meeting in 2014, Jim reportedly ignored his siblings' advice to seek outside help in running the team, insisting he could do it himself. According to Ding, during the meeting, Jeanie Buss, the team president, asked "How can we hold you accountable?" Jim replied that in three years time the Lakers would be "in contention for a championship." However, two years later, the team still hasn't made the playoffs and they don't appear to be any closer. In retrospect, it's decisions like this that have, in a sense, lowered Jim Buss' approval rating. It's been two years since that family meeting and there's been little progress. 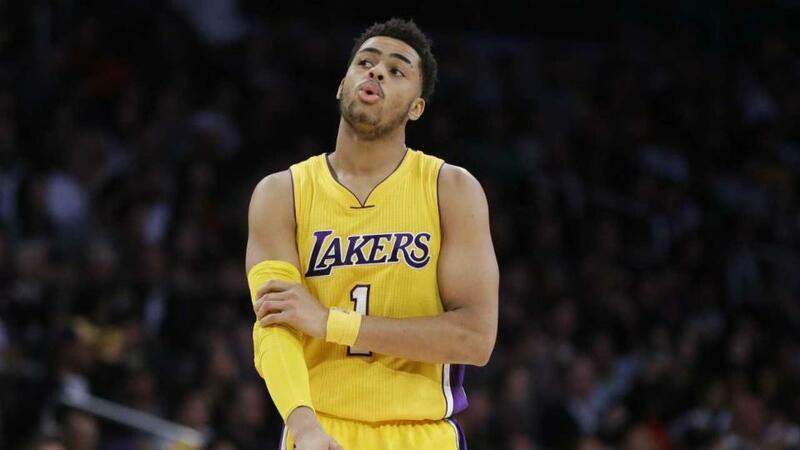 While the team has several young, talented prospects in Julius Randle, D'Angelo Russell, and 2016 No. 2 pick Brandon Ingram, it takes time for young players to develop and lead a team to the playoffs. The Lakers have the cap space to spend big in free agency this offseason, but they may struggle to lure top players to a lottery team when nearly every other team in the league has money to spend, too. With the Lakers approaching Jim's three-year guarantee, it seems the pressure is mounting on him to turn it around. The NBA world knew that following in Jerry Buss' footsteps wouldn't be easy, but the team needs to be in the hands of someone capable. How the Buss family could remove or demote Jim from his title is unknown, but with his guarantee already looking like a bust, he still needs the team to start making strides quickly.